The school wellness policy developed by the Howard County Board of Education was ranked among the best in the nation, according to a recent evaluation by the Yale University Rudd Center for Food Policy and Obesity. 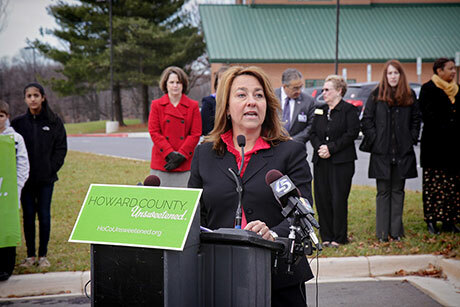 The recently revised policy, which aims to promote the health of Howard County’s nearly 52,000 students, was assessed for the Horizon Foundation, a Howard County philanthropy focused on public health. 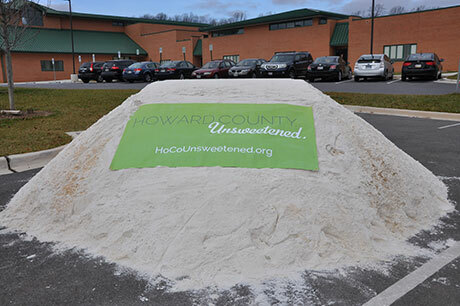 In a new television advertising campaign parodying Coca-Cola, Howard County Unsweetened is calling on the beverage industry giant to find a “better way” to help fight childhood obesity, diabetes and other diseases. 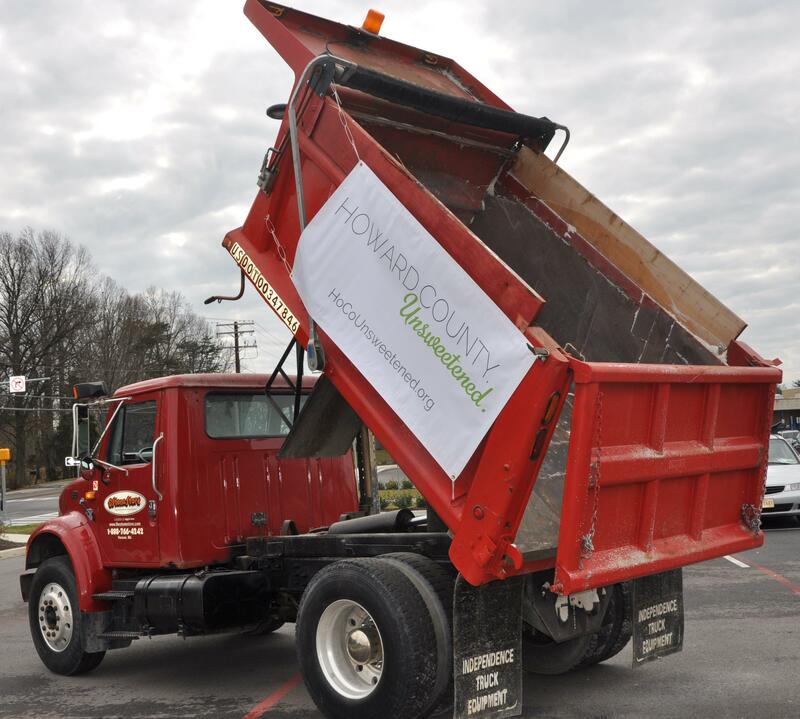 On the shouted command of Burleigh Manor Middle School students – “Dump That Sugar!” – 9.6 tons of “sugar” was dumped at the school. 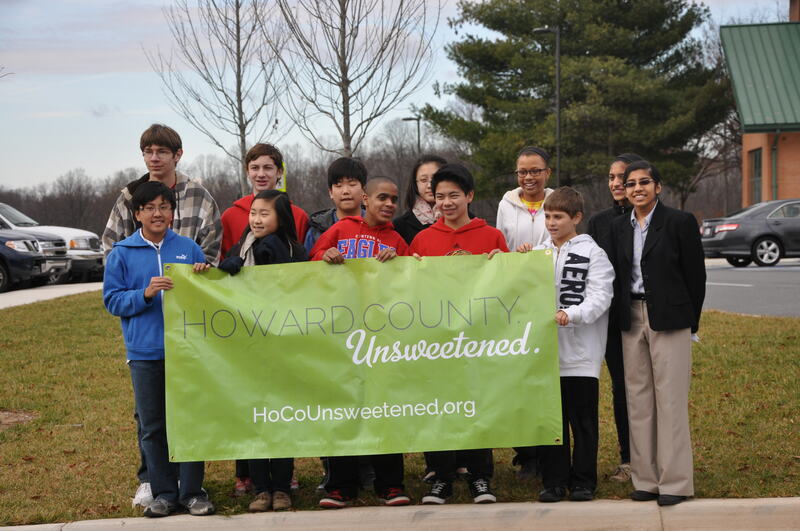 That dramatic gesture officially launched Howard County Unsweetened! Coca-Cola ads might look like this if they marketed BetterBeverages as much as sugary ones. What happens when you feed sugary drinks to rats? Don't try this experiment on your kids. Find a better beverage. 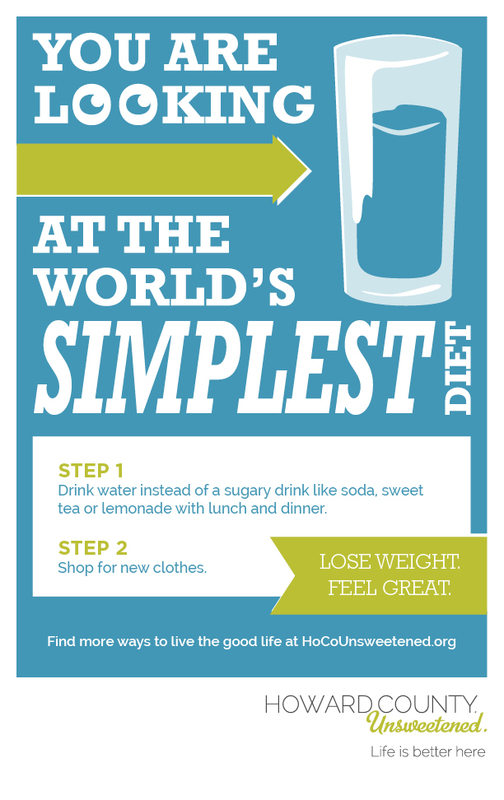 Want an easy way to lose weight? We can show you one right now. Want an easy way to save money? We can show you one right now. On the shouted command of Burleigh Manor Middle School students – “Dump That Sugar!” – 9.6 tons of “sugar” (actually white sand) was dumped at the school today to kick-off the Howard County Unsweetened campaign. Nicolette Highsmith Vernick, President and CEO of the Horizon Foundation, said, “Our goal is as simple as it is positive: To make it easier for parents and kids to make better beverage choices”. 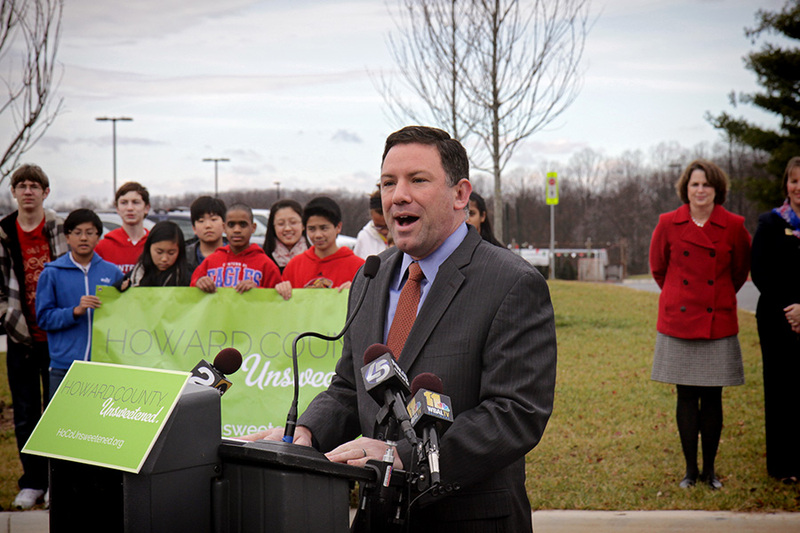 County Executive Ken Ulman announced an Executive Order to provide only healthy beverage options in county government facilities. The Student Council of Burleigh Manor Middle School stands behind approximately 9.6 tons of “sugar” (actually white sand), which represents the amount of sugar consumed by an average-sized middle school if every student drank one 12-ounce soft drink every day for a year. The Student Council of Burleigh Manor Middle School helps launch Howard County Unsweetened, a campaign to make it easier for parents and kids to find better beverage choices. 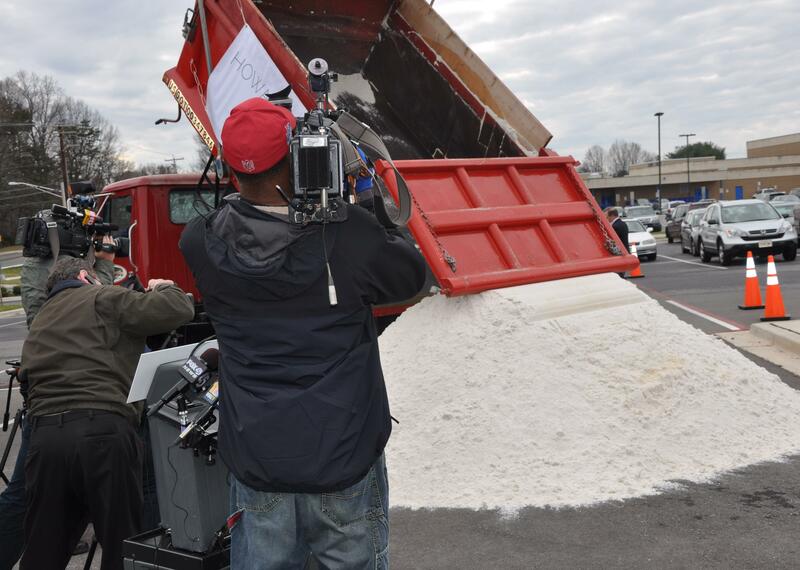 Area TV stations capture the moment as 9.6 tons of “sugar” (actually white sand) were dumped today at Burleigh Manor Middle School. 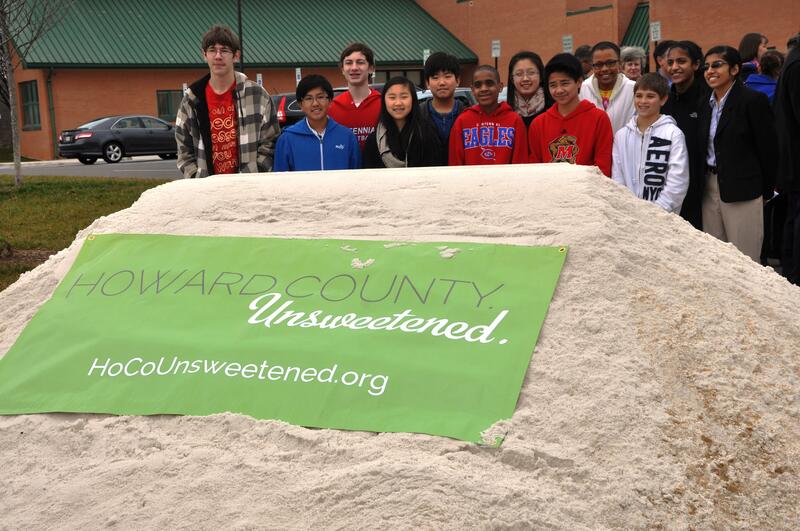 9.6 tons of “sugar” (actually white sand) represents the amount of sugar consumed by an average-sized middle school if every student drank one 12-ounce soft drink every day for a year. 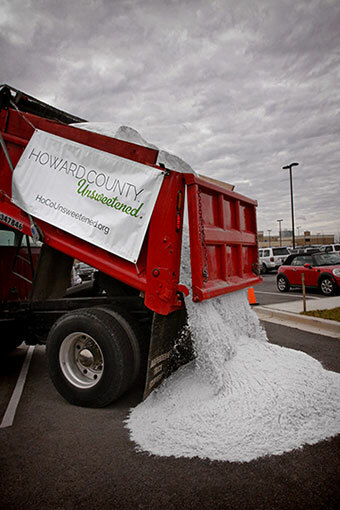 Following today’s campaign launch event, the sand was donated to the Columbia Association nonprofit. The dump truck sits empty after unloading approximately 9.6 tons of “sugar” (actually white sand) to launch the Howard County Unsweetened initiative. You don’t know thirst until you walk the distance it takes to burn off one of the hundreds of sugary drinks on the market. Share this message by email, facebook, or Pinterest. 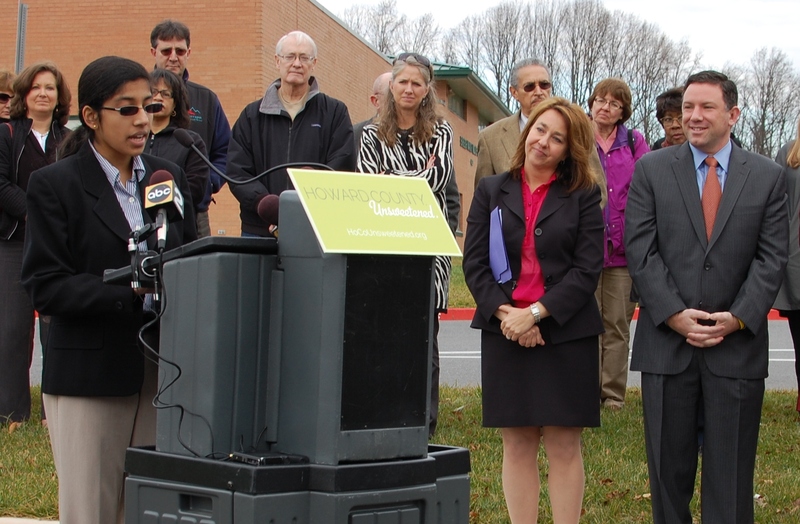 Or print and post at your school, gym, community center…. You are what you put in your grocery cart. (And what your kids sneak in when you’re not looking.) 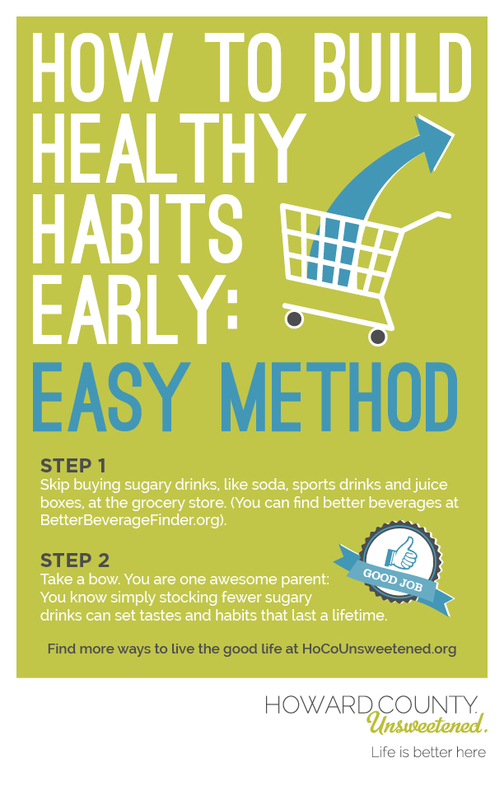 Share how to make better choices by emailing, “pinning,” facebooking or downloading this printable message. There’s nothing cute about a kid on a sugar high. Tantrums, homework battles, and bad dreams ensue. What parents don’t know can hurt their kids. 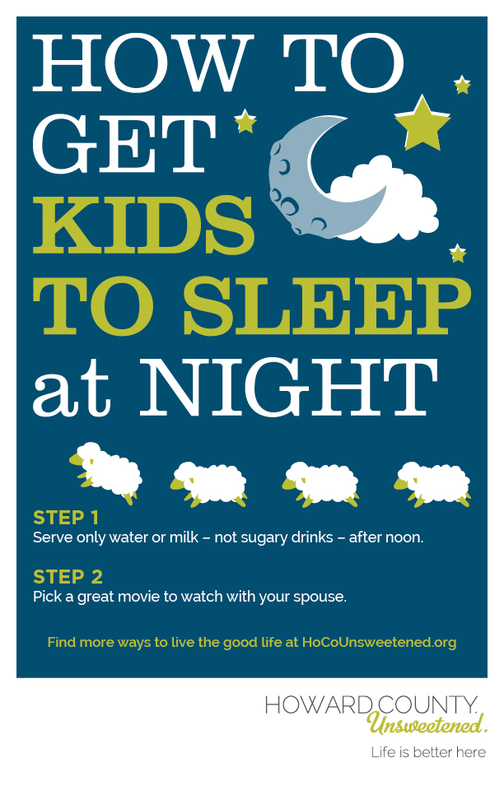 Print and post or share this poster with sugar-weary friends, family and listserv buddies. 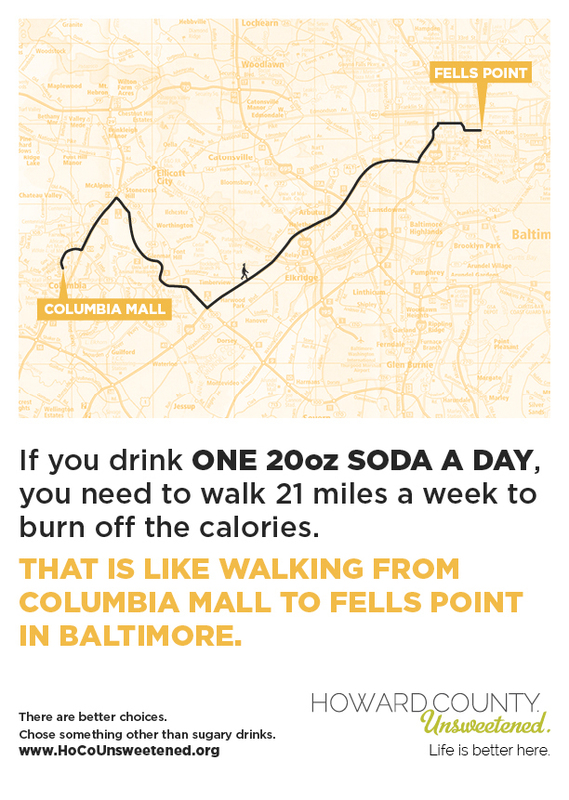 Find out why that guy at the office who stopped drinking soda lost 30 pounds. All the facts are on this downloadable, sharable poster. Print it or share it with the potential losers in your life. An intiative of the Horizon Foundation.